Surprise! Ruffles at the back of this otherwise classic denim jacket create a fresh, captivating accent. From Du Jour® Fashions. 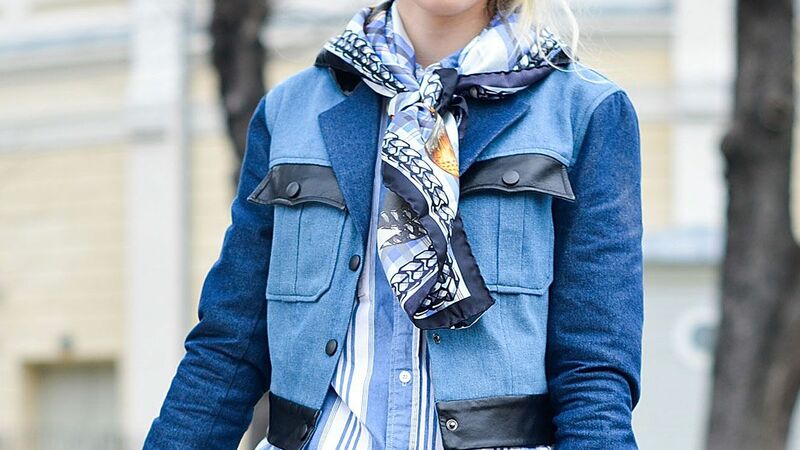 Moto inspired ruffle detail jacket. Zip front and ready to go. Pair with jeans or a short skirt. Model wearing size small. "Ruffle Detail Denim Dress Dresses - Blue"